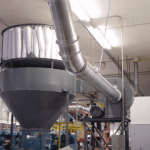 Smoke, Dust, or Fumes we have a filtration system that will fit your needs. Concept, Design, Cut, Form, Weld, Assemble, Deliver, and Install. We do it all! Please visit our sister company for water filtration sales and rentals. 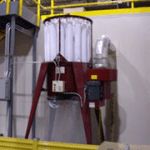 CSM has been involved in the engineering, fabrication and installation of centralized outdoor dust collection systems since 1958. Systems are custom tailored to meet the needs of each individual application. From a small unit to several large units, CSM can design, fabricate, and install a solution to your collection needs. We are happy to quote on any metal or collection need you may have. 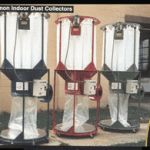 We take great pride in our “Dust Demon” and “Draft Demon” series of indoor dust collectors. 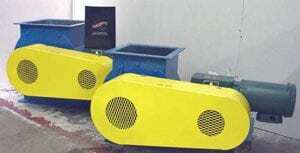 From the single application to the large multi-need application, the “Dust Demon” series of dust collectors will handle your needs. The material and construction of our “Dust Demon” and “Draft Demon” models ensure long lasting performance. 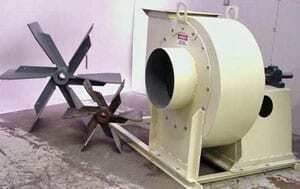 The durability of the “Dust Demon” has stood the test of time: Our products are still in use all over the country. 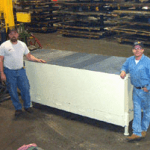 Constructive Sheet Metal, Inc. also offers design and engineering services. 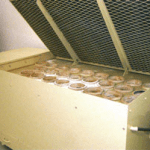 Our engineers can help you determine exactly what size collector you need. Any machine piping, hoods, guards, flex hose, sheet metal fittings, etc. that you may need are available. We can even install the whole system for you. We offer complete solutions. The “Dust Demon” and “Draft Demon” gives you the satisfaction of owning a product that works and that will last. Contact us today for the opportunity for us to fill your needs. Inlet ranges from 9″ to 33″. CFM ranges from 1000 cfm to 38,000 cfm. Heavy duty construction to ½” plate housings and wheels. Available with motors and drive packages. 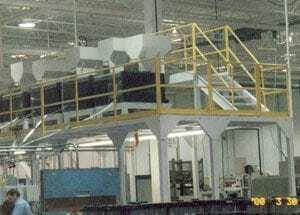 CSM has fabricated and installed a wide variety platforms and mezzanines. Caged and un-caged ladder accesses as well as fabricated stairways. A multitude of material options is available as well as virtually any custom configuration. 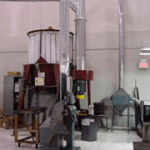 CSM is involved in many different custom fabrication processes. Our quick response time and cost effective solutions enable CSM to be a premier sheet metal company. No wonder our motto is: “If it can be made of metal… We can make it”. CSM fabricates flex tip rotary airlocks in a variety of common sizes as well as custom sizes per customer needs. Replacement parts such as shafts, gearboxes, flexible rubber tips are generally in stock on our shelves for fast, reliable, emergency service.